Hahn begins his commentary with an introduction to Chronicles, entitled, "Now the Records Are Ancient". Here Hahn introduces some of the major motifs and ideas the dominate 1-2 Chronicles. This chapter introduces key ideas that will be more fully developed in the commentary. I hope this overview will encourage you to buy the book--and even more importantly read it. Again, it's available here. Hahn points out that the first word that occurs in Chronicles is significant: "Adam". He writes that with this introduction the author "signals his ambition to tell the word's story from the beginning--from the creation of the first man--to the end--his own time in the late sixth or early fifth century BC. . ." (1). Hahn observes that it is probably no coincidence that rabbinic tradition placed the book at the end of the Hebrew canon: the book was understood as a kind of summation of biblical history. But the work was clearly intended as more than a historical overview. Hahn observes that the book "strains the categories and definitions of traditional historiography" (2). This is evident in three ways. Different tone. Chronicles does not sound like traditional historiography; Hahn likens it to a commentary or "maybe even a series of homilies" on Israel's story. Selective re-telling. 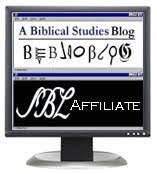 The books excludes a lot of material that one would expect to be included (e.g., David's affair with Bathsheba) while it also includes a lot of material found nowhere else in Israel's scriptures (e.g., the identification of the temple with Moriah, the very place Abraham offered Isaac). Theological / liturgical interpretation of Israel's history. Hahn explains that Chronicles tells the story of Israel "in a prophetic key". In short, the ideal portrait of the Davidic Kingdom one encounters in the book functions as a kind of prophetic model. For the Chronicler, the the golden age of the Kingdom under David and Solomon have a paradigmatic function: for the author, this is more a less a vision of how the Kingdom of God should look. The third point bears some additional elaboration. Implicit in all of this is a prophetic criticism: Israel's post-exilic state is the result of a kind of fall from grace. What constituted that fall from grace? As Hahn deftly shows--and this is one of the most stunning themes in the book--one of the unique elements of David and Solomon's reign was their integration of royal and priestly prerogatives. In short, David seeks to make the Kingdom "a liturgical empire". David and Solomon perform priestly acts. More on that later. But suffice it here to point out that political power must take a back seat to priestly holiness. In short, the Chronicler will teach us something we might not expect: the Kingdom of God is not made manifest primarily through military power but through liturgical worship. One more point here: with the glorious reigns of David and Solomon we have a model for future expectations of restoration, a blueprint for future hopes. Thus the author of Chronicles expects his readers to understand that "the history he is retelling is not finished" (3). Closely related to the idea of "remembrance" is another concept that Hahn identifies as "the pivotal feature of the Chronicler's prophetic historiography," namely, "the covenant and the covenantal structure of the divine economy" (4). For the Chronicler, the covenant is more than simply a past reality; it is "the word that he commanded for a thousand generations" (2 Chr 16:15). What is striking is the way the Davidic covenant is presented in this schema. In Chronicles it is clear that "the Davidic covenant is a novum, something unprecedented and radically new" (5). 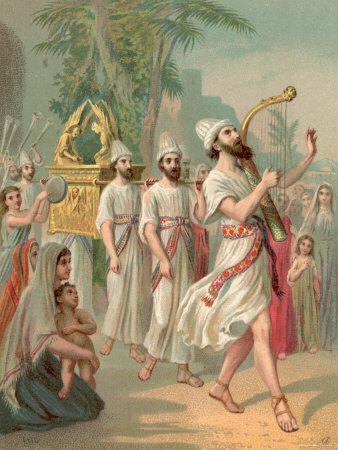 Yet even though the Davidic covenant represents a sort of climactic crescendo to the story of salvation history found in Israel's scriptures, notwithstanding its novel elements, it is presented as remaining in continuity with God's covenantal plan. For example, the liturgical elements of the Davidic covenant, which Hahn sketches out in later chapters, are anticipated in the vocation given to all twelve tribes of Israel in Exodus 19:6, namely, that Israel would be "a kingdom of priests". 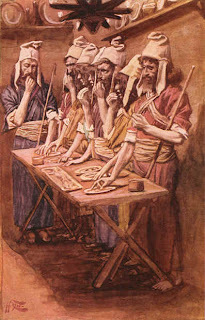 Indeed, as Hahn goes on to show, David is presented as a New Adam, a New Moses, etc., while Solomon is depicted as a New Joshua. What especially stands out in Hahn's treatment is the priority of the Abrahamic covenant in the Chronicler's thought: "before the exodus and Sinai there was Moriah" (6). As we shall see, the dominance of Abrahamic imagery is clear in Chronicles. Again, it is no coincidence that the Chronicler identifies Moriah as the site of the Jewish temple. 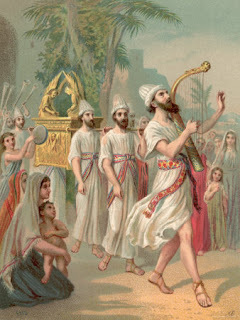 In a way, the worship of God's people and the nations at the temple in the Kingdom of David represents a kind of partial fulfillment of the Abrahamic covenant. Yet Hahn is clear that the literary connections and the typological implications point beyond themselves to a deeper truth. He cites Fishbane who explains that the typological reading of Israel's history "also reveals unexpected unity in historical experience and providential continuity in its patterns and shapes." (8). In every generation a person is duty-bound to regard himself as if he personally has gone forth from Egypt, since it is said, And you shall tell your son on that day saying, It is because of that which the Lord did for me when I came forth out of Egypt (Exod. 13:8). I hope you can see how profoundly important Hahn's work is here. 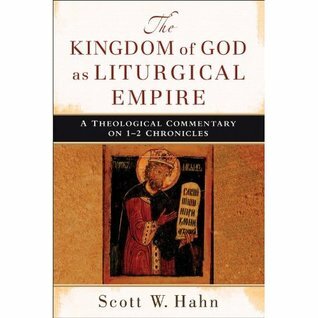 Hahn is not only about to offer a rigorous exegesis the text of Chronicles, his reading has profound theological implications: his work has important ramifications for liturgical theology, fundamental theology (e.g., what is revelation? ), and ecclesiology (what is the relationship to the people of God in the Old Covenant to the people of God in the New Covenant?). But we're just warming up. So much more is still to come. Stay tuned! Thanks for this. I will buy the book! Reading Walter Brueggemann's The Prophetic Imagination, he says the Solomon took down what Moses sought to build. He is critical of Solomon and his hoarding of wives, power, stored up grain, gold and slaves. How might Scott respond to Brueggemann? I'm not sure. But I believe that St. John of the Cross and others have taught that Solomon was a foreshadowing of Jesus Christ. 1st. He is the Son of David. 2nd. He was annointed when he entered Jerusalem on King David's donkey. 4. Solomon is also known for his wisdom and Jesus is Wisdom incarnate. So, there is a great deal for which Solomon can be commended. On the negative side however, Solomon did allow his wives to turn him into an idolater. In that sense, he is right to be critical of Solomon. The biblical text itself is critical of Solomon for the same reasons Brueggemann is. But that's found in 1-2 Kings. Chronicles focuses on what was positive about Solomon, because it's writing "constructive history," that is, history that can inspire the current generation to construct cult and culture. The people of Israel had made an examination of conscience for their sins during the exile--but at some point you have to move on, emphasize what is positive about your spiritual heritage and build anew. That's my perspective. I think Dr. Hahn might agree, but I wouldn't want to speak for him. I have read a number of commentators on Matthew who insist that our Blessed Lord's words in Matt 6:25-34 are a subtle critique of Solomon. Like many individuals in the bible, Solomon gives both good example and bad, and both "story-lines" are instructive.